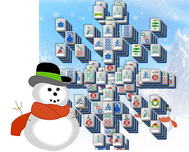 Oh the weather outside is frightful, but Winter Mahjong is so delightful, since you've no place to go, play mahjong, play mahjong, play mahjong! 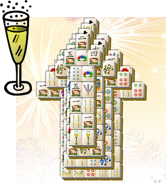 Winter is upon us, and instead of braving the cold, why not stay warm inside and play Winter Mahjong all evening long. 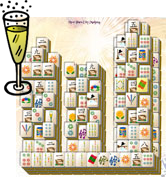 Match tiles to eliminate them from the mahjong board. Remove them all and you win! 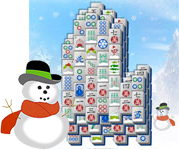 Watch the beautiful snow fall as you celebrate your victory! 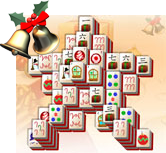 Mahjong tiles with open sides (long/vertical sides) can be selected at any time. 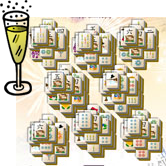 You must remove the outer mahjong tiles to get to those hidden in the middle. 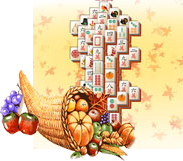 Flower and seasonal mahjong tiles are special tiles which you can match to any other in the set. 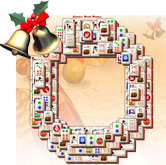 We have labeled these with #1-4 in the right or left corner to show you which tiles are in each set. 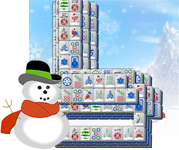 Happy Winter Time from everyone here at Holiday Mahjong.com! Stay Warm!